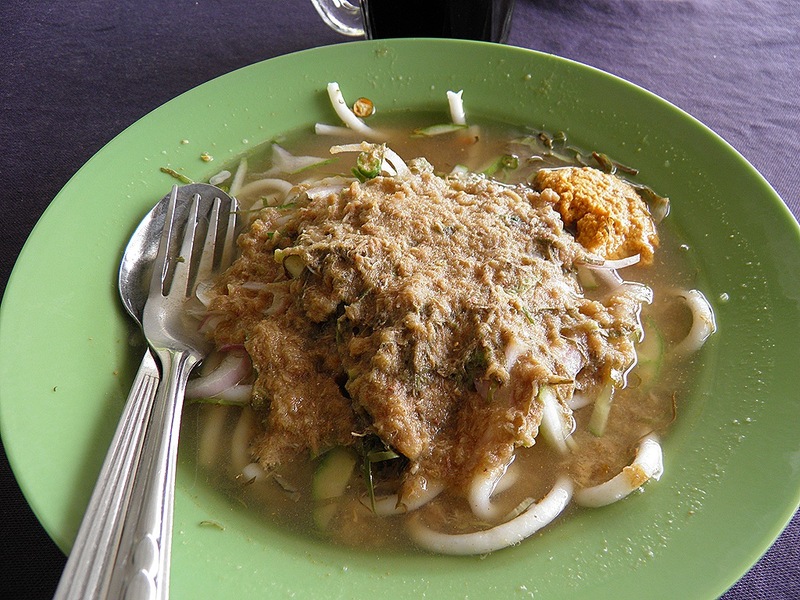 I had read on one of Malaysia’s many foodie blogs that if you are ever in Kuala Kedah, you must try the local speciality, Laksa Teluk Kechai. Laksa is a noodle dish, usually in a spicy and/or sour soup. Since moving to Malaysia, I have tried a number of different varieties such as Penang, Sarawak and Singapore but never the Kedah variant. 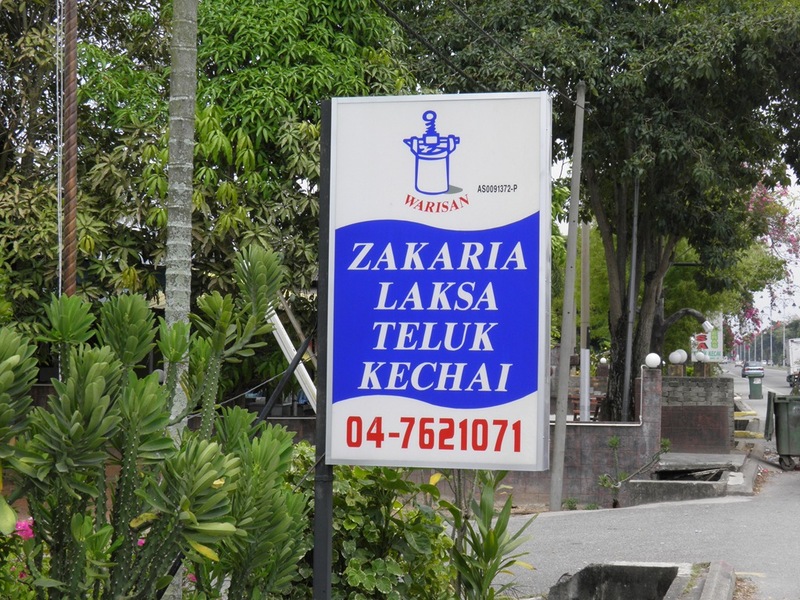 Apparently there are only a couple of places which serve Laksa Teluk Kechai and they are located on the road between Alor Setar and Kuala Kedah. Luckily I spotted one of them and since I was hungry I gave it a go. 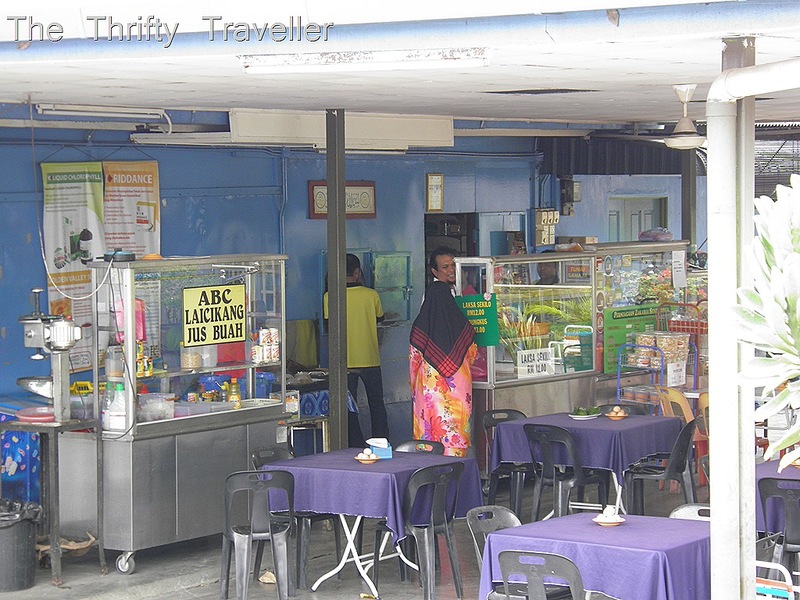 It was a fairly simple outdoor restaurant with a particularly pungent monsoon drain a few feet from my table. The pong did not seem to put the locals off their food and there were quite a few customers tucking in. I ordered the house speciality. It was not the most appetizing looking dish I have ever seen but appearances can be deceptive. The mashed up stuff on top of the noodles was, I think, sardines or mackerel. The orange coloured condiment looked like and tasted like fish roe mixed with coconut. The soup was not very spicy by Malaysian standards but strangely satisfying. Was it worth driving 600km for? Probably not, but I finished every drop and I would add my recommendation to those of the dish’s many admirers.